"Clean, quiet, and comfortable, and really good shower water..."
Have a question for Best Western Seven Seas? "The hotel check in was okay and the rooms were clean, tidy and had everything you need for a comfortable stay." "The employees were kind and nice." 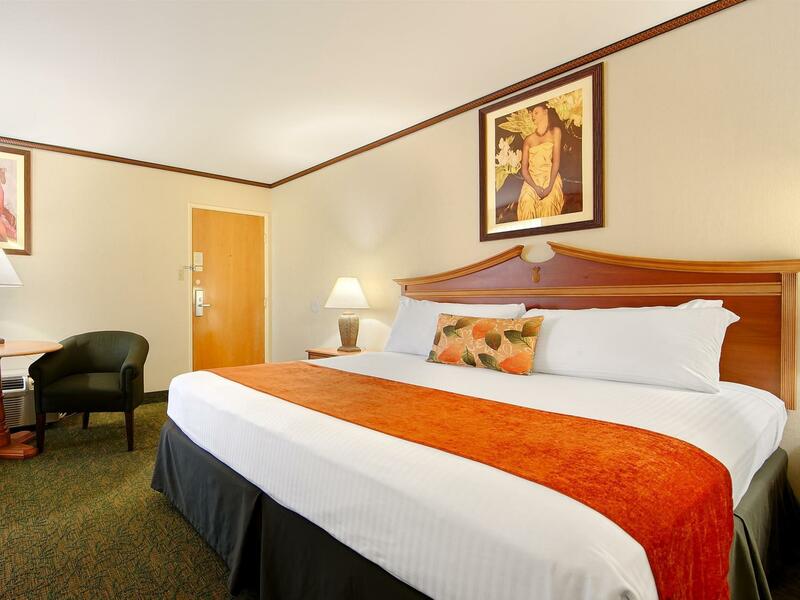 "Great value for clean, quiet hotel with a pool, hot tub and..."
Whether you're a tourist or traveling on business, Best Western Seven Seas is a great choice for accommodation when visiting San Diego (CA). From here, guests can enjoy easy access to all that the lively city has to offer. Also within easy reach are Silverado Trading Post, Fashion Valley Mall, Fashion Valley Shopping Center. Offering hotel guests superior services and a broad range of amenities, Best Western Seven Seas is committed to ensuring that your stay is as comfortable as possible. The hotel offers access to a vast array of services, including 24-hour front desk, facilities for disabled guests, luggage storage, Wi-Fi in public areas, car park. Guests can choose from 307 rooms, all of which exude an atmosphere of total peace and harmony. The hotel offers many unique recreational opportunities such as hot tub, fitness center, outdoor pool, billiards, table tennis. 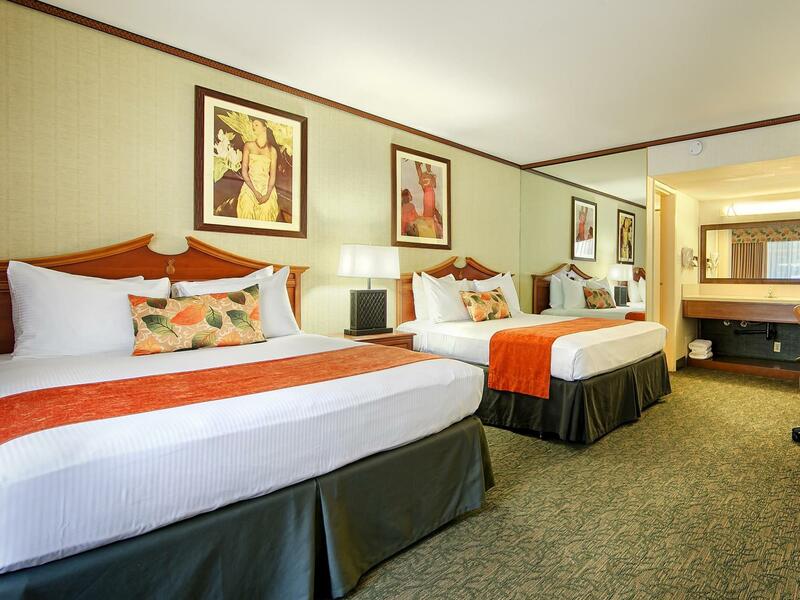 Whatever your purpose of visit, Best Western Seven Seas is an excellent choice for your stay in San Diego (CA). "The hotel was well managed with tall nice trees in them." Lovely and clean. Comfortable room. Had a double room with 2 beds for 2 people but would struggle with space for any more people than the 2 of us with luggage. Free parking. Breakfast wasn't included in the price. Good location to access downtown San Diego or the zoo and Balboa Park/Sunset Cliffs. Good facilities with a secure gym and swimming pool and hot tub. TV in our room didn't work throughout our stay and the receptionist said it was a problem in the whole area that was trying to be sorted but I wasn't convinced of this. Good WiFi. Thank you for choosing the Best Western Seven Seas in San Diego and for being our guest. We are delighted to hear that you enjoyed our centrally located property and complementary parking as well. On behalf of our entire team we would like to apologize for any inconvenience that you may have experienced. The cable TV was not working due to construction nearby the hotel damaged the cable feed to the property on Friday afternoon. Our cable provider, Cox Communications, was unable to diagnose and correct the problem until Monday. We look forward to the opportunity to welcome you back on you next trip. Thank you. Thank you for being our guest and taking the time to write such an amazing review, We are glad to hear that you enjoyed all our wonderful amenities as well as our friendly and helpful staff. 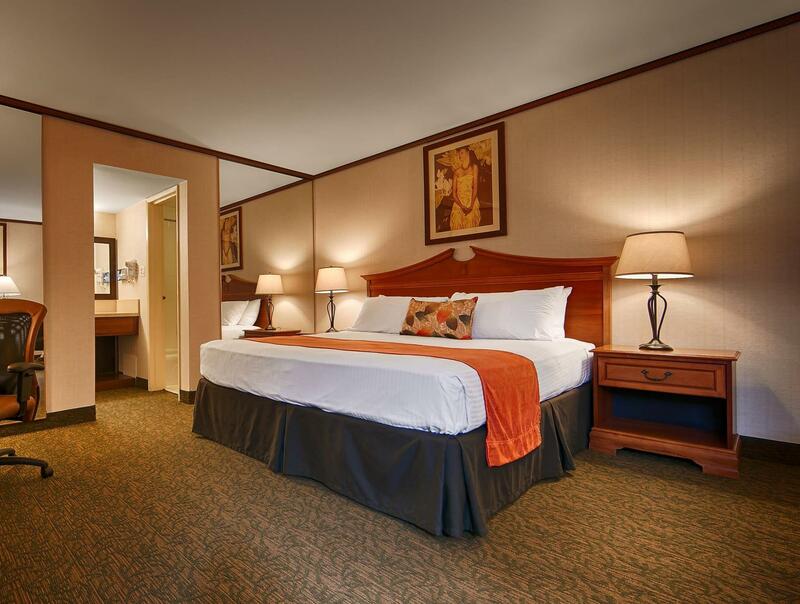 We hope that you will consider staying at the Best Western Seven Seas on your next trip to San Diego. Thank you. Clean, quiet, and comfortable, and really good shower water pressure...with nice hot water. No microwave or breakfast offered. But hey...didnt have to dig to deep in the pocket to stay here, and they do have onsite diner. Also, hotel is in a very accessible area. Thank you for such a great review we are delighted to hear that you enjoyed your stay. Although, we do not offer a complimentary breakfast, our on-site restaurant, Seven Seas Cafe, is open from 6am- 10pm serving breakfast, lunch, and dinner for our guests convenience. We look forward to your next visit to San Diego. Free breakfast item or but one get one free rather than 15% off would be better appreciated. This is the one reason not to stay -- most BW I visit have free breakfast. Especially traveling with children, this is important to me. Bathrooms should have security bars for senior citizens; Parking lot at night needs more light, too dark. Having one elevator for 40 units on the second floor is a good investment, especially for elderly or handicapped clients. We stayed in a triple room here for two nights, but unfortunately the lock on the door broke. The maintenance man was helpful and came out to fix it quickly as we were in a rush. However he wasn’t able to fix it and the keys still didn’t work. We advised the hotel that we needed to get back into the room that night and were given 5 different keys, none of which worked. The staff at reception were disinterested and unhelpful. We returned to the hotel that evening and no surprise our keys weren’t working (we’d been told a lie that they would be after 15 mins, just a story made up to put us off). Yet again we went to reception and they let us in eventually to our room. After this farce, I asked that the manager call me after we left in the morning. We received no call nor no discount on our bill for such hassle. The hotel itself was fine and the bar and pool were great, but they really let themselves down with their attitude to our issues with the keys and lock. Thank you for your recent stay at our property. We would like to apologize for not meeting your expectations.Please know your comments will be shared with the appropriate departments and the staff for specific training purposes, as guest satisfaction and meeting their expectations are quite important to us. It is our hope that you will consider the Best Western Seven Seas in the future so we can have another opportunity to provide you with exceptional service. I plan to return. Great staff! Nice location! Nice maid service. Liked the smaller room. Pillows were great. Laundry/guest services building was nice. Bedside ightbulb that was pulled out of the socket was fixed quickly. Hair dryer didn't work. Did not get an itemized bill when I left. A little expensive. the hotel was well managed with tall nice trees in them. the employees were kind and nice. The jacuzzi and pool were great enough. really enjoyed staying here. the room was a bit small for three of us though. My meeting was at Town and Country Resort and the Hotel location was very close. Hotel was clean and room was comfortable.. I had difficulty finding power outlet in the room. I had to charge many of my electronic machines. My meeting was at Town and Country Resort nearby and the Best Western Hotel location was very close. Hotel was clean and room was comfortable. However, I had difficulty finding power outlets in the room. I had to charge many of my electronic machines. 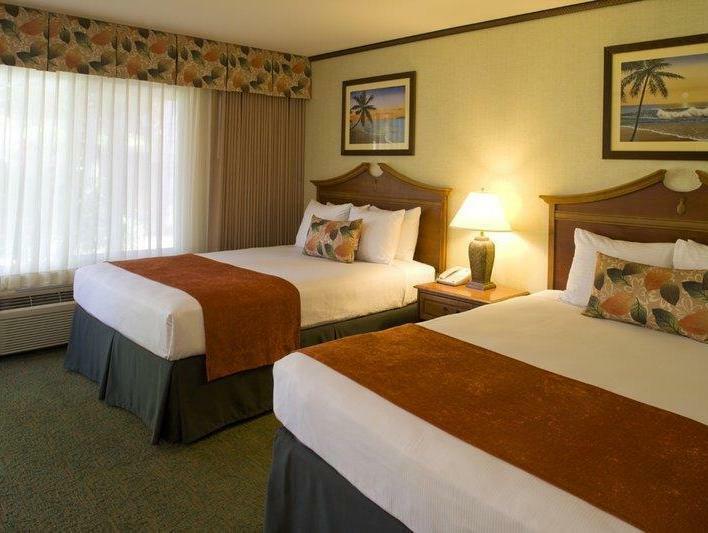 Rooms were clean, the staff were friendly, close proximity to Sea World, restaurant in hotel had good food. Small bathroom, sink was outside of bathroom, uncomfortable pillows. When we arrived we were originally put in a smaller room than requested. However the next morning they immediately switched us and even upgraded our room to a King size bed, free of charge. We were told a shuttle would run hourly and be available to take us to the San Diego Zoo and Sea World. That turned out to be only partially true and did not give us the flexibility we were looking for. It turned out to be a blessing in disguise however because we were able to rent a car and have complete freedom to go wherever, whenever we pleased. Overall the stay was pleasant and the staff were more than helpful. 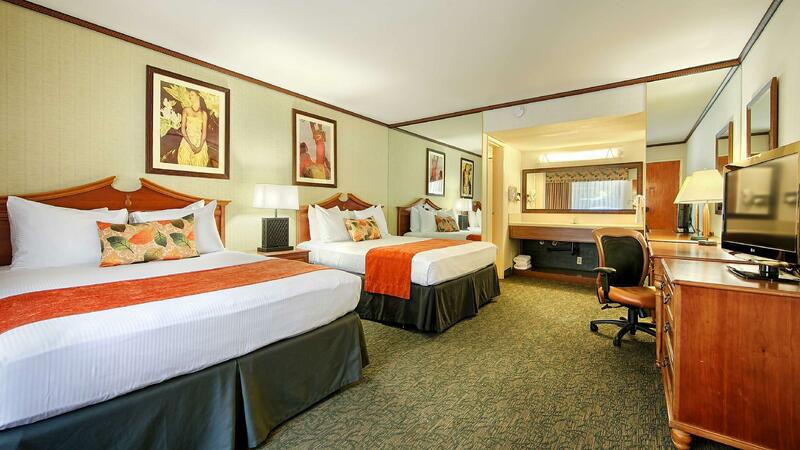 Great value for clean, quiet hotel with a pool, hot tub and workout room! Thank you for such a great review we are delighted to hear that you enjoyed our wonderful amenities as well as our clean and spacious rooms. We look forward to your next visit to the Best Western Seven Seas. Thank you. Where i stay. Good value for the money. Quiet. Clean. Well equipped. the front desk staff was very nice. the shuttle service is very accommodating. the room was very clean. i am very satisfied. walls seem thin. i can hear the people near my room clearly. The fridge in room 532 didn't work and were unaware of this. In the morning ants were all over our food. As a 17 year old guest (who travelled for more than 18 hours) I paid the room cash, but wasn't trusted to pay the deposit with the creditcard of my parents, so the room was refused. It took a long time and different calls and to the Netherlands to get my room. Hospitality instead of procedures and money collection should be first priority at Best Western, is my opinion. We stayed here in April Firstly, the location, you need a car to get around San Diego from here. There are no shuttle services to the sights. The hotel check in was okay and the rooms were clean, tidy and had everything you need for a comfortable stay. The only downside we experienced was trying to find out where to go and what to see, and althought they had leaflets available for the sights, the staff were only able to give us very little input, which was a shame. It was okay for a short city break.